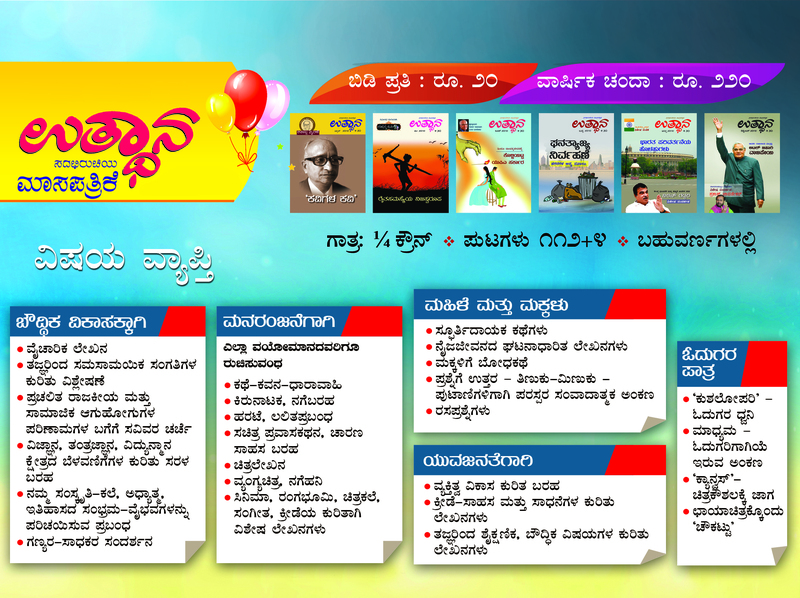 Utthana – A monthly publication that has rooted itself in the minds of Kannada readers since 5 decades. name of independence. But the process of comparing and transforming India with the same old parameters of the west goes on even today. The result of the above scenario is an unending eclipse that has formed over the indigenous talents, ideologies, heritage and lifestyle values of India. What is extremely evident today is a sense of irresponsibility on the part of the Indian youth towards the progress of the country. publications seemed to divert their path towards modern literature post independence. 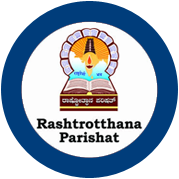 Rastrotthana Parishat hence incepted the publication ‘Utthana’ in 1965, with a major ambition of reconstituting the sense of oneness among readers and cultivate a mindset that strived towards nation building. The publication began with the face of the architect of Bengaluru, Kempegowda in 1965 and has never turned back since. The editorial board has comprised of Dr. Suryanarayana Kamath, S Venkatarao, Shivaramu, Nadoja S R Ramaswamy and many more. Even in its initial days, the publication held the fame for having published works of eminent writers such as T T Sharma, G P Rajaratnam, Shivarama Karantha, Swamy Jagadatmananda, Prof. S K Ramachandra Rao, Navaratna Rajaram, and more. The publication adhered to the tastes of all kinds of audiences ranging from children, youth, women, to adults. Utthana obtained the reputation of being one of the most brilliant publications in Karnataka as it comprised researched articles about the country, culture, history, nature, conservation of nature, financial development, etc. Numerous writings from the publication have acquired state level awards. For instance, the article ‘Soligara baduku sudharisuvudentu’ (How to lift the lives of the unsuccessful) published in January 1983, and ‘Bhoosudharane – Mathu, Kruti ondu Halliya Kathe’ published in April 1984 won the recognitions awarded by Canara Bank for the best developmental articles.